So it's the week of Thanksgiving here in the US and I don't know if anyone has time for blog posts but I've had these photos hanging out on my computer for over a month and it felt like time to send them out in cyperspace. 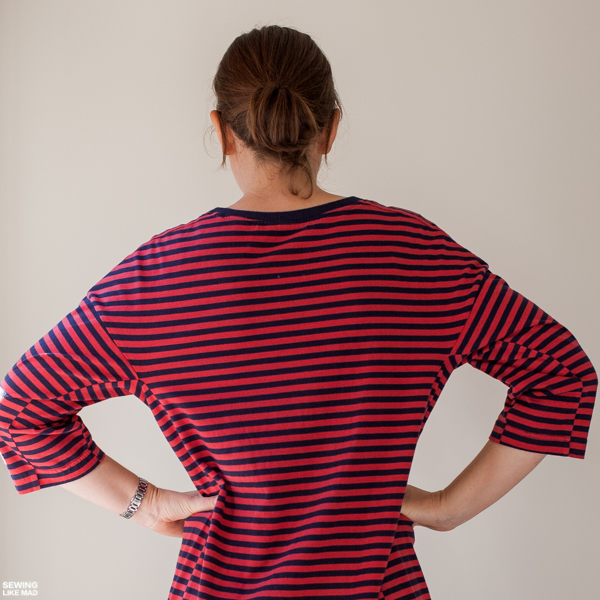 I'll prepare you right away.....if/when you click on the link to the pattern information on the Burda Style site, you might think I have linked to the wrong pattern. 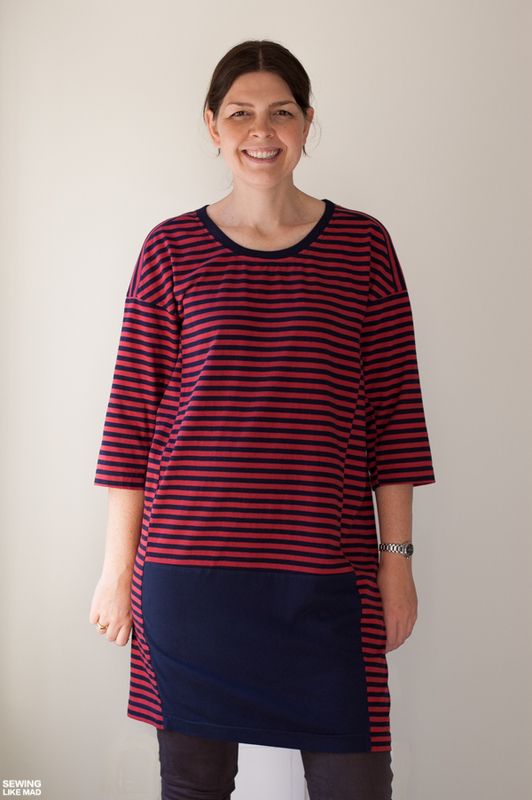 And sure, I certainly could have done that, but in this case both my tee and dress ended up looking very very different from the Burda Style examples. That's what fabric and styling can do. So fun to see! I bet you want to click now, huh! HERE is the tee 02/2016#105. HERE is the dress version 02/2016#106. I only changed two things from the original dress. First thing is that I made both patterns in knit instead of the intended woven materials. And when that decision was taken, it made sense to change the neckline from a v-neck with a facing to a rounded with a knit rib. All the color blocking is already part of the original pattern and I don't understand why Burda Style has designed a dress with all these pieces and then sewed them all up using only one color/type of fabric. It SCREAMS color block...at least to me haha. 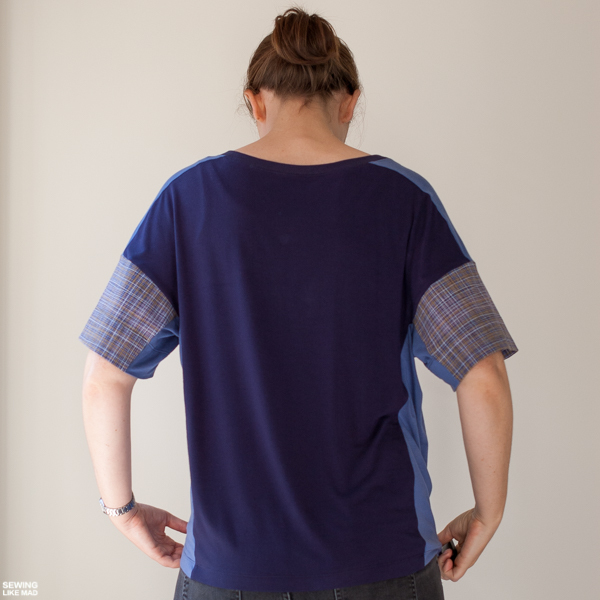 The tee version is supposed to have a short sleeve with a fold up but I knew my knit fabric was way way too soft to stay that way, so I just skipped that detail, made an extra wide hem but also ended up loving the longer length. The two blue fabrics are a rayon/lycra blend from Imagine Gnats Shop and they are very very soft and drapey. Not super easy to sew with but oh so comfortable to wear. 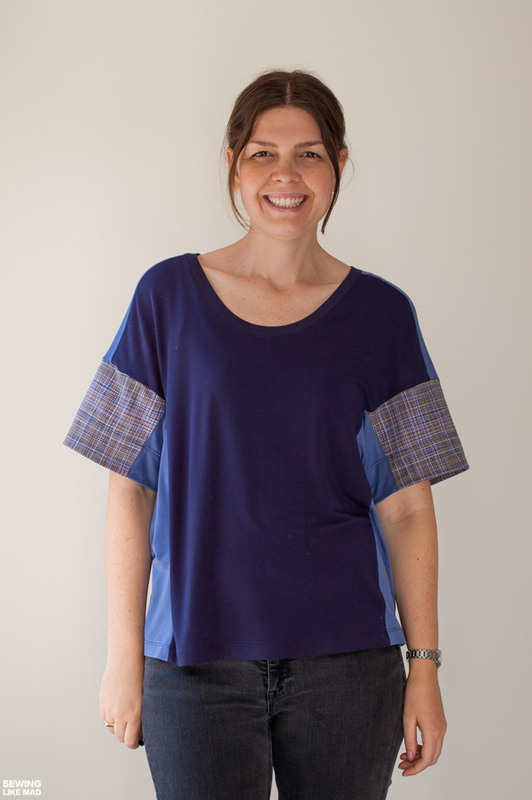 As you can see it even drapes under my arm where that continued side piece (tee hem to sleeve hem) runs. It doesn't ruin anything for me, but I wanted to point it out so you don't think the pattern is not well drafted...because it certainly is! The printed fabric is from an old collection of Art Gallery knits. I'm sorry I can't remember which one but like with all Art Gallery knits the quality is lovely. A view from the back. No surprises, hehe. 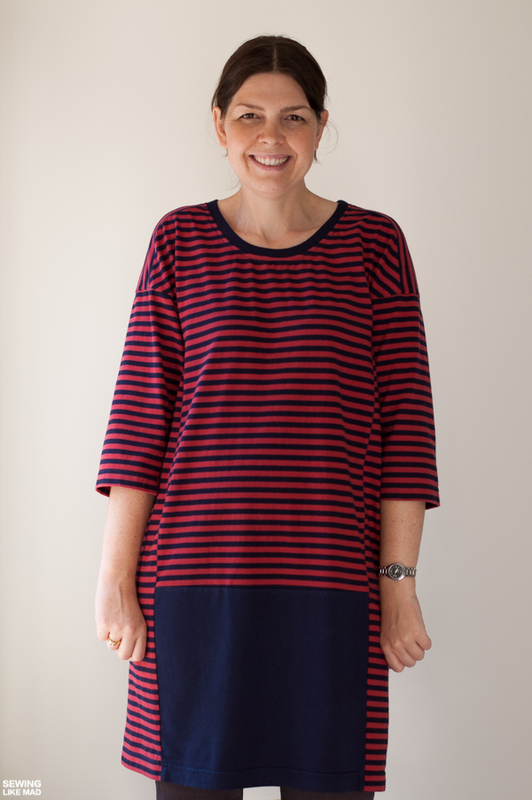 With this dress I tried something new (to me) regarding the stripes. I matched them up opposite. 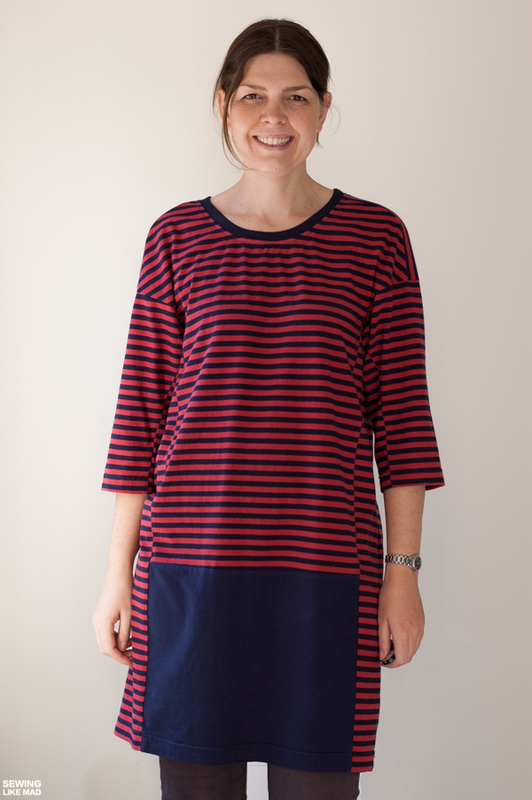 I'm not sure I love it when the stripes are as narrow as they are here. To me it mostly just looks mismatched. I think they have to be much wider to work but hey I guess I needed that lesson. 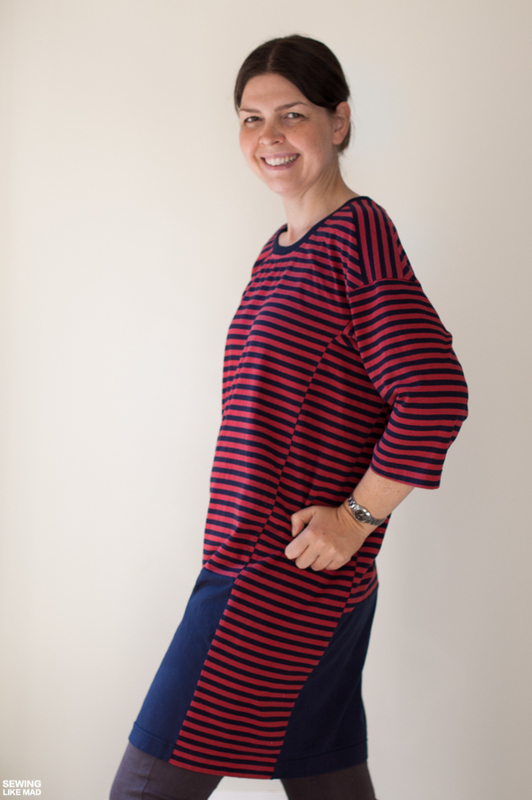 The idea behind the opposite matching of the stripes was of course to showcase the seams/pieces in the pattern. I guess you can call it a way to color block with stripes without changing their direction and at least that worked out I think. 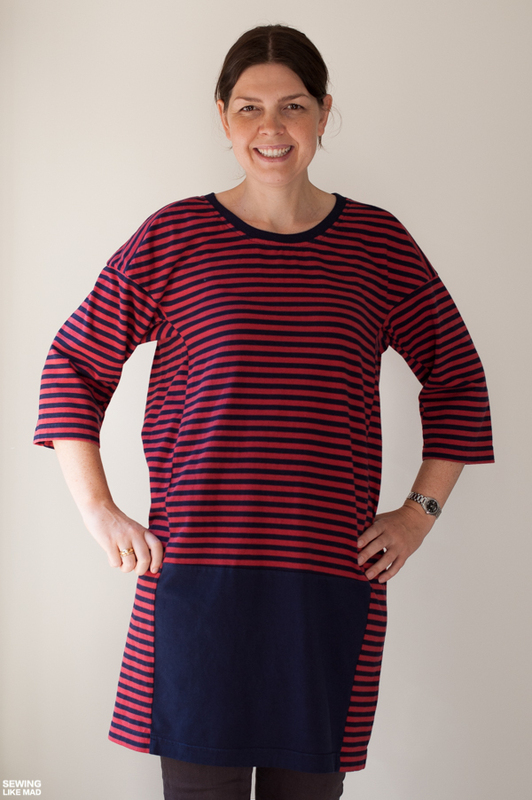 The fabric is this lovely and fairly stable/not very stretchy cotton jersey knit from Mood Fabrics. 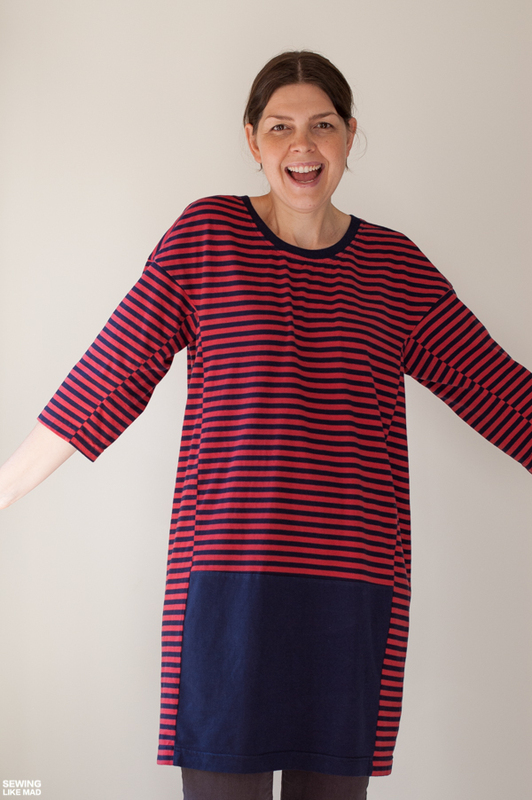 The navy blue is the Laguna jersey knit from Robert Kaufman which solves any random knit need. I stock it in quite a few basic colors just for situations like this. I can't explain it but I think that blue rectangle on the dress does something good! And just to be clear that is also part of the original pattern. And the winner for most awkward blog photo pose goes to...... and my face is not in focus either haha BUT it shows off this dress' side features so very well so I guess you have to live with it! A view from the back. I really really love that continued side piece. 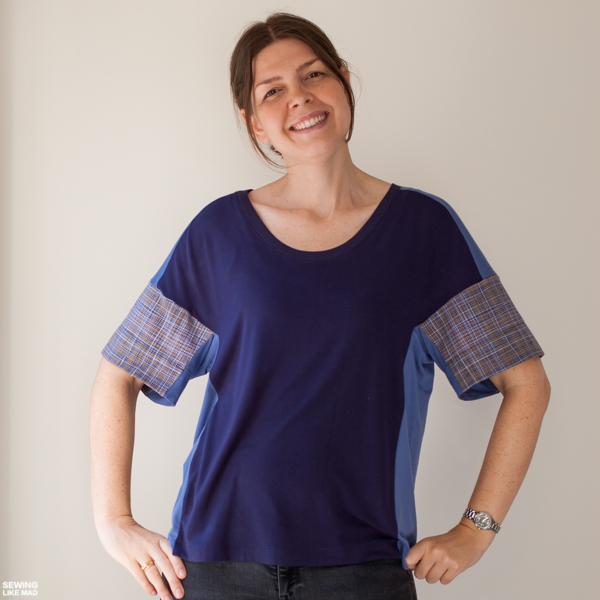 I have mentioned before that when you buy one Burda Style pattern you often get the pattern pieces to the variations of that style too even though it is not mentioned on the site. So I bought the #105 (tee) pattern but I got the pattern pieces for the #106 (dress) too. Just saying! 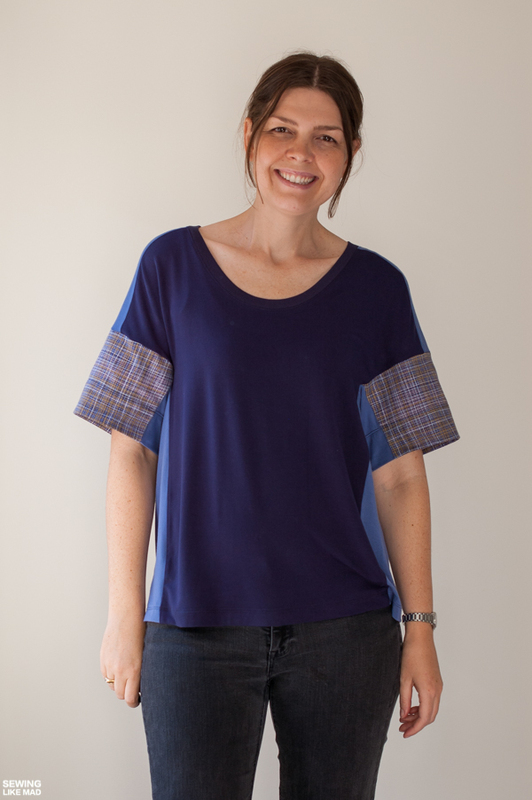 I have another reason to post a Burda Style pattern this week of Thanksgiving. Today I remembered that I bought my six very first Burda Style patterns last year at their Black Friday sale (everything was 50% off and I'm SO hoping it's coming back!!). 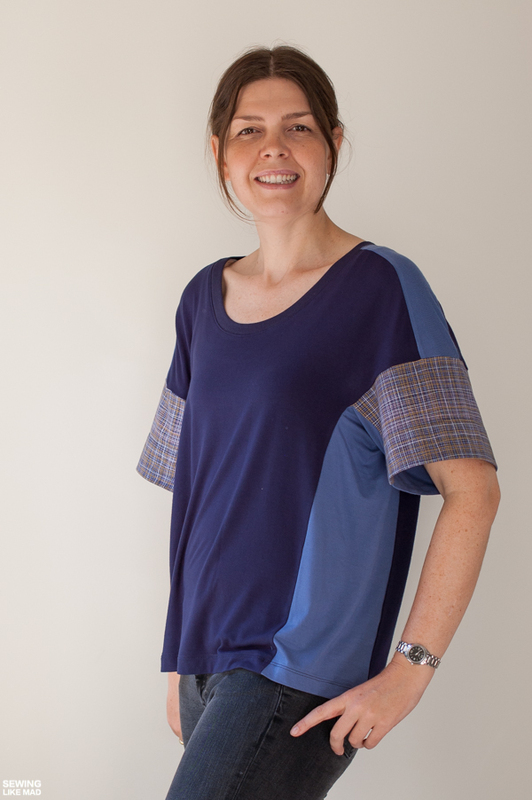 So happy one year anniversary of Burda Style patterns to me, ha, I have never regretted those purchases! The instructions are very very spare and no illustrations but the patterns are perfectly drafted and you get a lot for you money. Oh Mie! They look so great on you! You're so good with color blocking. That's just not something that comes naturally to me. I love them both so much. And I'm glad you've mentioned that Burda offers two patterns – I always wondered what the second set of numbers meant. So cool! You are totally right! the original pattern looks very different.Well I like all the changes you made, of course who wouldn't like a lovely knit dress like that one? I think is my favourite of both, all the details and also the colour blocking. From the side angle looks almost like two pieces outfit -skirt and a top. And you look gorgeous as always. Really nice! I can't decide which version I love more -- though I think that stripey one does it for me! Plus I can't resist a cool dress. So awesome, as always!! Happy Burda anniversary hehehe The tee and the dress are fun! I had to look at the original pattern pic twice, the bow tool the centre stage haha I really like the stripe-o-blocking. I think it is fun! Love that tee, and you're so right! I don't understand, with all of the talent in the sewing world, how the pattern companies don't have someone to better represent the designs in their samples. Petit a Petit Patterns Block Party. Three Versions of the Kastrup Top.